What’s So Special about Our HOME System? It seems today our entire lives are connected. Our watches connect to our phones, our phones connect to our cars. Even our kitchen ovens can be connected to some sort of smart device. Having an operating system that allows franchise business owners to stay connected with their franchise no matter where they are is invaluable. That’s where HOME comes in. It took Hungry Howie’s® CEO, Steve Jackson, a few years to realize his company needed the technology in place to stay ahead of the game and boost not only productivity but sales. 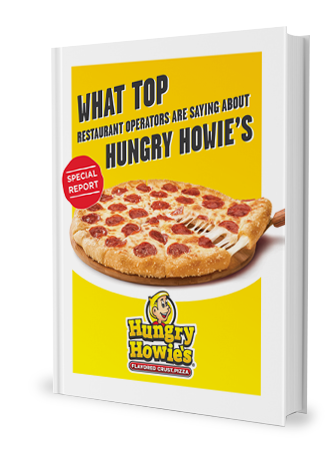 Once he understood Hungry Howie’s needed more than an impressive website, the tech-era took over and changed the way the franchise was handled forever. With the touch of a button, franchisees can get a full, personalized report. That’s the beauty of HOME. HOME is a living asset of the company, allowing franchisees instant access to valuable data. “The opportunity to be able to go online wherever I’m at, check my sales, be able to see what my out-to-door times are, to be able to immediately react to customer concerns, customer complaints, is a tool that’s just invaluable.” - David Plait, Franchisee – 12 stores. HOME became the to-go resource for franchisees to see real-time sales figures, labor reports, and more. Having this kind of tool at their disposal helps Hungry Howie’s franchisee have a better work/life balance. Having the possibility of managing their franchise no matter where they are, not only gives them more flexible schedules, but it also helps them grow as business owners so they can become multi-unit franchise owners. 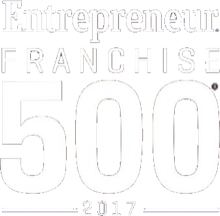 In fact, some of Hungry Howie’s® franchisees have over 50 franchise stores and they can conveniently manage them through HOME. As with any technological tool, updates are in order. Hungry Howie’s® CEO, Steve Jackson, understands this. Most managing systems have a shelf-life of 5 years, maybe a little bit more. Keeping their new technology up-to-date is essential. Since its launching, HOME has evolved to become a full management platform that can be accessed through any computer or smartphone. The future of HOME is uncertain, but what we do know is that it will continue to evolve to make the franchisee’s management of their stores more efficient and profitable. HOME gives everyone a piece of mind. District managers can check on dozens of stores, it lets franchisees grow as multi-unit owners since they can oversee what's happening at each location and take control from wherever they are. HOME makes it that much easier and convenient to run a Hungry Howie's® franchise. 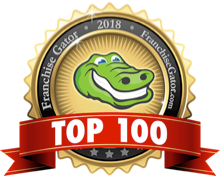 Thanks to the data collected by HOME, franchisees are able to customize their leadership methods and their workflow to ensure 100 percent customer satisfaction. HOME is the heart of Hungry Howie’s®, and so far it has been beating strong and loud. STATE OF CALIFORNIA: THESE FRANCHISES HAVE BEEN REGISTERED UNDER THE FRANCHISE INVESTMENT LAW OF THE STATE OF CALIFORNIA. SUCH REGISTRATION DOES NOT CONSTITUTE APPROVAL, RECOMMENDATION, OR ENDORSEMENT BY THE COMMISSIONER OF CORPORATIONS NOR A FINDING BY THE COMMISSIONER THAT THE INFORMATION PROVIDED HEREIN IS TRUE, COMPLETE, AND NOT MISLEADING. STATE OF NEW YORK: THIS ADVERTISEMENT IS NOT AN OFFERING. AN OFFERING CAN ONLY BE MADE BY A FRANCHISE DISCLOSURE DOCUMENT FILED WITH THE DEPARTMENT OF LAW OF THE STATE OF NEW YORK. SUCH FILING DOES NOT CONSTITUTE APPROVAL BY THE DEPARTMENT OF LAW OF THE STATE OF NEW YORK. MINNESOTA STATE REGISTRATION NUMBER F-2873.